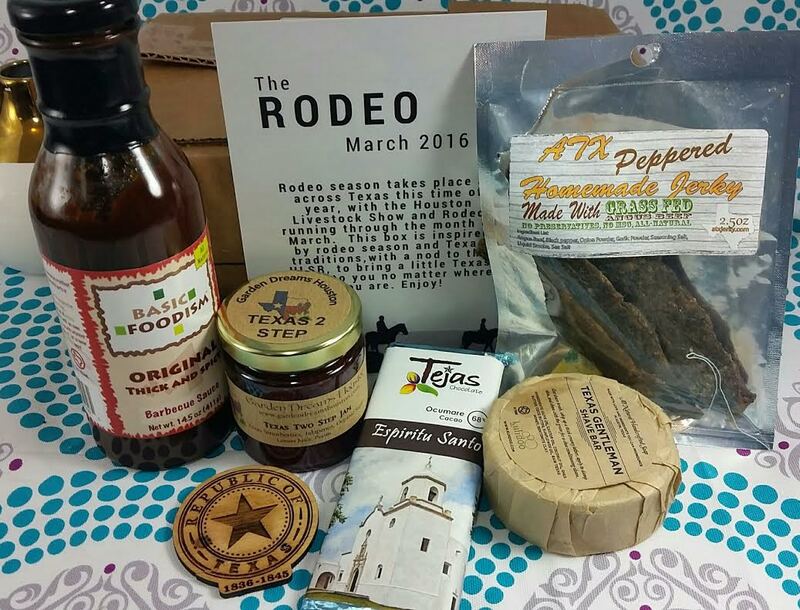 My Texas Market is a fun box for those who love all thing Texas, handmade items and enjoy supporting small businesses. 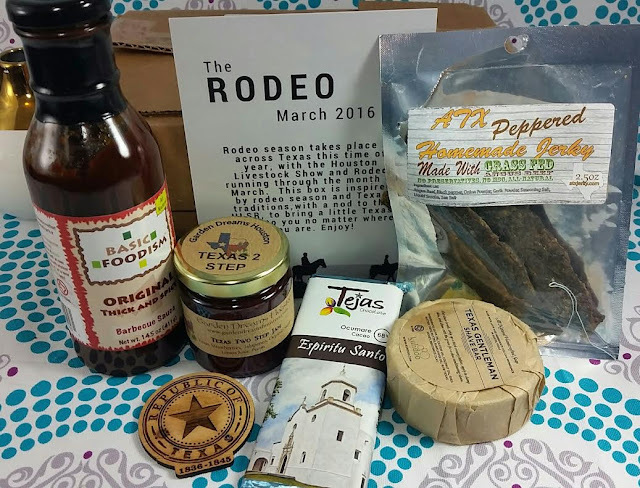 These types of boxes have cropped up pretty regularly on the subscription box landscape but My Texas Market is definitely a front runner, in my opinion. I do admit to a little Texan bias because my dad's side of the family is from there and we visit often. This box is not a food box. There is definitely food products in it but it is not solely about all the Texan food deliciousness. I like that. It's a mixture each month and I appreciate that. Garden Dreams Houston Texas Two-Step Jam- This is so interesting! It's a jam made of strawberries and jalepenos! I don't know that I would use it on my biscuits but it's going to be great poured over cream cheese eaten with crackers. This jam is made with locally grown fruits, cchemical free and handmade in small batches. In my experience this brand is absolutely fantastic. If you ever see it, buy some. You won't regret it. I say go with the Cranopeno Jelly and serve it over cream cheese at your next party. I served it up and it got scarfed so fast and everyone was asking me what it was. 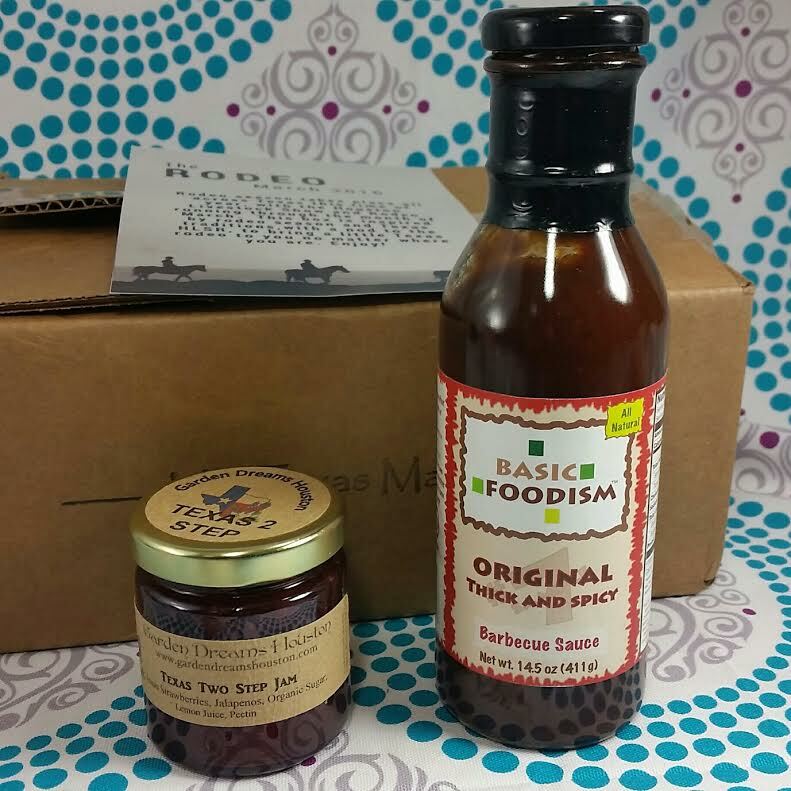 Basic Foodism BBQ Sauce- This is Original Thick and Spicy. It's very thick and slightly grainy since it has dehydrated onion and garlic in it. It's slightly sweet but packs a very flavorful punch. I can see it making some excellent pulled pork... I need to get one and try it out! It's delicious! Bark Park Republic of Texas Magnet- This unfortunately arrived cracked. :( However, customer service is excellent and if it happens to you, just contact them and you'll be taken care of. Bark Park makes Texan mementos from salvaged trees. This particular magnet was made from a downed pecan tree (that's the state tree). 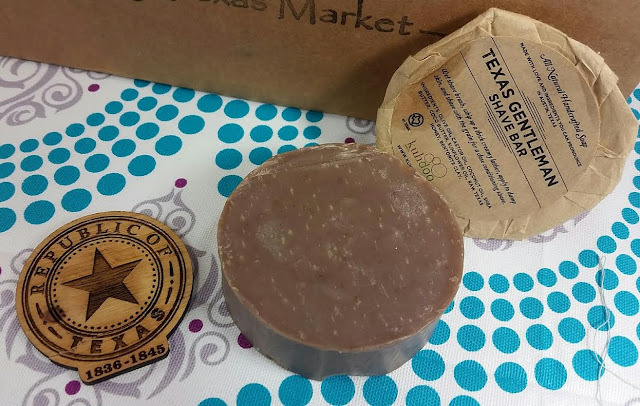 Kuhdoo Soap Co. Texas Gentlemen Shave Bar- This soap is made with plant based oils and shea butter, cocoa butter and raw honey! There's even some bentonite clay in there. Since my husband has started using shave bars and a brush, he was happy to have this. Apparently his current one is almost gone. This thing is a monster bar. It's not a sample, it's the real deal. Tejas Chocolate Single Origin Bar- I received Espiritu Santo which is 68% cacoa and it is marvelously smooth and rich. 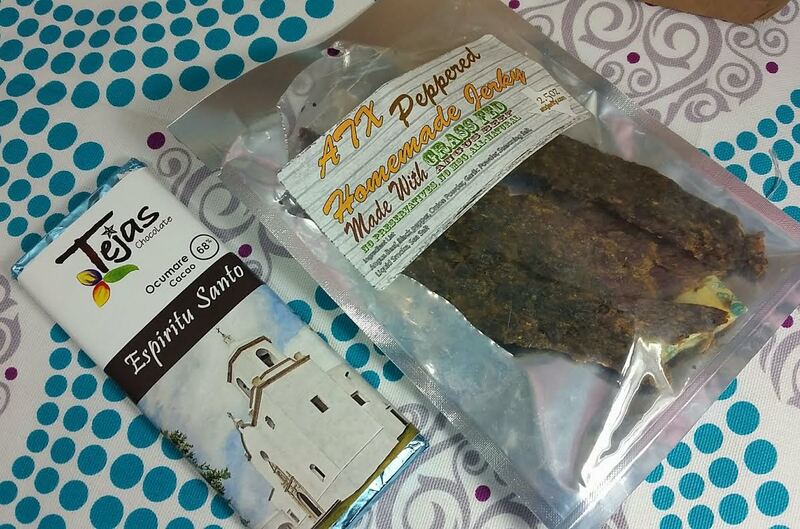 Two ingredients only: Cacao and pure cane sugar. Fantastic! The package said it has notes of fudge, dewberry and cedar but I just taste heaven. Apropos, I guess, considering the name. ;) Also how lucky am I? This chocolate is normally only sold on location at their shop in Houston! No other way to get it! I love that. If you're missing Texas and all it's encompassing goodness, you need to get yourself a box. They feature small businesses and farmer's market staples and I absolutely love this box. It's a lot of fun and always has solid items that are usable and fun. Sign up here for My Texas Market right here. Use code 10FIRST to get 10% off your first box! *This box was sent complimentary for review purposes. All opinions are mine. Trust me, I'm way too stubborn to use someone elses.